17.07 Bombshell! Proof That Malaysia Flight MH17 Was Diverted Over Ukraine War Zone! (This serves as absolute proof that Malaysia Flight MH17 was intentionally flown into Hostile Air Space! 17.07 Malaysia Flight MH17: What The MSM Isn't Telling You! 17.07 BUSTED! Ukraine Caught Trying to 'Frame Russia' for Shooting Down Malaysia Flight MH17! 17.07 Malaysian Plane Crash Video Shows Ground Explosion, Not Missile Explosion In Air! The Real Reason "Malaysia Airlines Flight MH17" Was 'Shot Down' Over Ukraine! 20.07 BOOM! Kiev Caught Plotting Crash of Malaysia Flight MH17 , Before It Happened! Russia is hitting back at allegations by the West that Eastern Ukrainian militias are responsible for the downing of Malaysian Airlines flight MH17. In a televised presentation Monday, Russian defense officials offered evidence of Ukrainian "BUK" missiles systems in the region where the plane was downed. Also presented was radar data they believe shows a Ukrainian jet fighter closely tailing MH17 before it crashed near Donetsk. RT's Marina Kosareva has more details on the new information provided by the Russian military. So, it appears that at least one of the buks, which the SBU claim belongs to Russia, is actually Ukrainian. 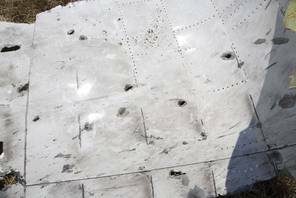 31.07 “Support MH17 Truth”: OSCE Monitors Identify “Shrapnel and Machine Gun-Like Holes” indicating Shelling. No Evidence of a Missile Attack. Shot Down by a Military Aircraft? 12 08 Hackers Learned Who Shot Down Boeing In Ukraine. Investigative authorities of Ukraine, the Netherlands, Belgium and Australia have agreed on coordinated efforts in the inquiry into the Malaysian crash. NOTICE THAT THIS "AGREEMENT" DOES NOT INVOLVE THE MALAYSIAN GOVERNMENT!!! I WONDER WHAT THEY THINK ABOUT THIS?? The only result of this agreement is an OFFICIAL COVERUP!! The source of this post is HISTROIKA · @HISTROIKA, who tweets a lot in support of the "rebels" in the Ukraine. 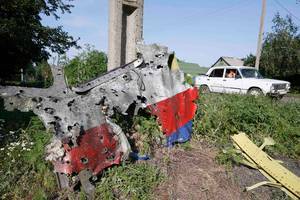 MH17; US narrative doesn't make sense, here's what the MSM are not telling you. All the proof you need that what you are being told about MH17 is a total lie was kindly provided by the BBC, BBCRussia interviewed locals at the crash site who all saw Ukrainian fighter jets tailing the airliner, BBC promptly removed the footage when they realised it did not fit the controlled narrative. It also require up to 20 specialised men with dedicated training to operate it, which the separatists simply do not have. Though the Seps admit they have a BUK launcher which they captured from the Ukr Army but it was not operable as there were several parts damaged on it. From the evidence it appears the Ukr Su25's were using MH17 as cover or hiding behind it, plus it was the fighters that stirred it over the conflict zone. The images available on the internet show the damage across wing & angle in the fuselage is consistent with being shot at by air to air fire and not ground to air fire. If this is the case only Kiev could be responsible, and it appears were deliberately trying to frame the Rus Seps . Missiles take-off is at 01:00. No local people in town where allegedly fired from against MH-17 saw or heard this on July 17, 2014. On firing a Buk missile, the earth shakes for a radius of 2 km. There is no video and no audio or other evidence that BUK missile was fired by militias from the position Kiev claims it was even though it is a populated town. What was witnessed by several locals was 1-2 explosions in the air when MH-17 was attacked. But no one saw a missile trail from ground to the plane. 18.07 Downing Of Flight MH 17: False Flag Operation To Blame Russia? 18.07 Who has shot down the Malaysian jet over Ukraine? 27.07 Malaysia Airliner Missile Strike(s): Was it MH-17 or MH-370?